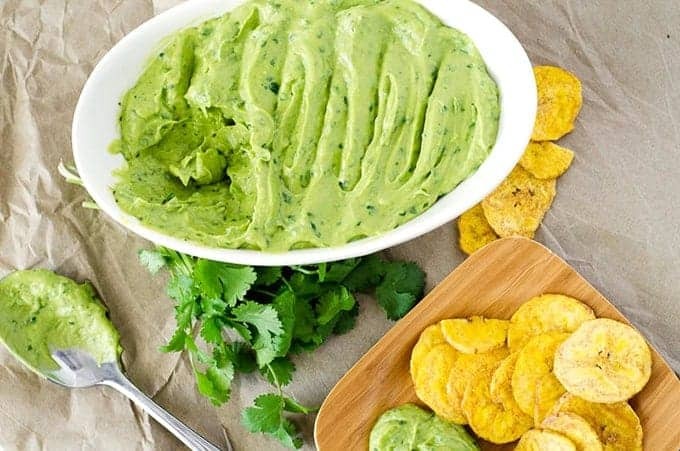 This Cumin Lime Avocado Dip is creamy and full of flavor. It’s a great alternative to guacamole for your next taco night! 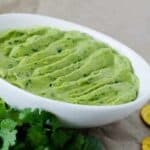 This Cumin Lime Avocado Dip is so easy to make. It requires no chopping or cooking of any kind. With only six ingredients, you can have this dip made in five minutes! The flavors for this dip recipe are inspired by a dressing in Well-Fed Weeknights, which is basically mayo with cumin, lime juice, cilantro, and pickled jalapeños. Every time I make a batch of that dressing, it’s gone in a few days. I wanted to make a dip for my Super Bowl Game Day Game Plan that was also Whole30 compliant, and thus this Cumin Lime Avocado Dip was born. This recipe seriously couldn’t be easier. You literally just put it all in your food processor and run it until it’s creamy. 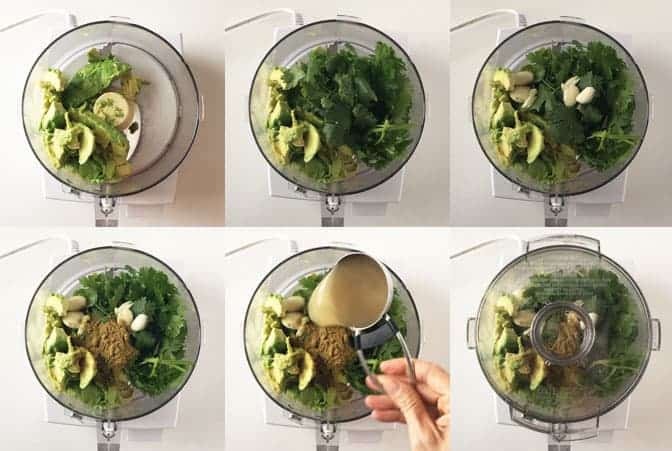 The most work you have to do will be scooping out the avocado, and possibly scraping the sides of the food processor bowl once or twice to make sure everything is getting incorporated. I usually use Trader Joe’s plantain chips as my dip vehicle. Vroom vroom! 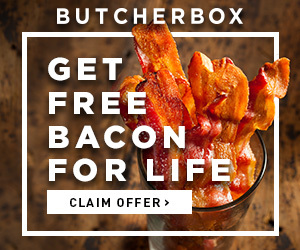 If you’re not on a Whole30 round, these are a simple and easy solution. If you are on a Whole30 round, you’re not technically supposed to have store bought chips, even if all the ingredients are compliant. The good news is, you can make your own plantain chips. 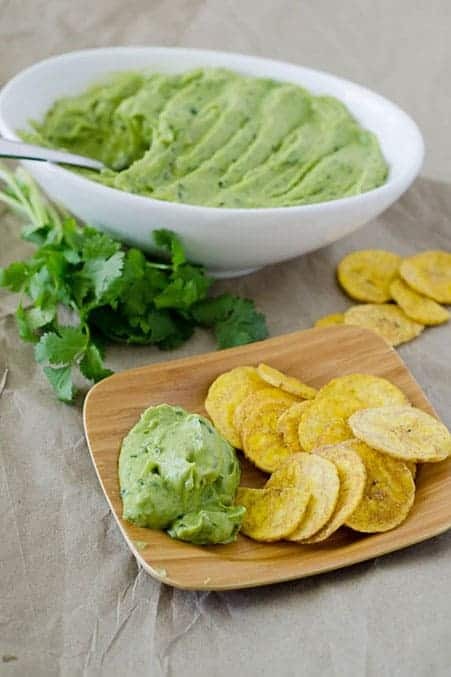 Just thinly slice VERY GREEN plantains using a mandolin or a super sharp knife, toss in some coconut oil, and bake at 350° for 25-30 minutes until crispy. Mel Joulwan has a great tutorial here. Note: The VERY GREEN is VERY IMPORTANT. If you’re making plantain chips, you need under-ripe plantains. If your plantains are yellow on the outside, they are already ripe and will be a mushy, sticky mess when you try to slice them. You could also serve this dip with raw veggies or regular tortilla chips if you’re not paleo. Or just eat it with a spoon. I won’t tell. Did you try this dip? Leave a star rating below! 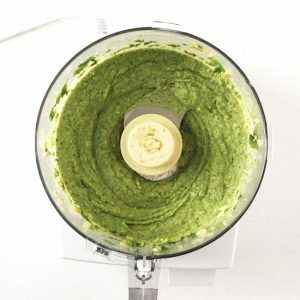 If you’ve tried this cumin lime avocado dip recipe or any other of my recipes on the blog, I want to see! Tag me on social media and follow along for more delicious recipes. You can find me on Facebook, Instagram and Pinterest to see more delicious food and what I’m getting into. Pit the avocados and scoop into the bowl of a food processor. Add all other ingredients and purée until smooth. Serve with plantain chips or raw veggies for dipping. Try pork rinds if you're feeling adventurous! This recipe was originally posted January 24, 2017 and was updated on June 4, 2018 to include step-by-step photos, a video, and nutrition information. What a unique blend of flavors! While guacamole is a lighter dip, the cumin in this dip makes it a heartier taste. I can’t wait to to devour this with some sautéed shrimp! I just recommend adding lime to taste and add a little at a time. Thanks, PS! Oh, shrimp are a great idea, yum! Glad you enjoyed it!